In the wake of the recent counter-terrorism raids in Sydney where two Jihadis were arrested for plotting a meat mincer bomb attack on a flight, it’s common for the public to wonder why terrorists continue to focus on aviation when there are less challenging targets. This article briefly explains why aviation remains a prized target for terrorists both in Australia and across the world. Economic impact:Aviation and transport are one of the sectors within the economy that suffers the most from terrorism. Travel and tourism contributed US$7.2 trillion to global GDP in 2015 or 9.8 percent of the global total. The adverse economic effects of terrorism on the tourism sector are felt by all countries that suffer terrorist attacks, regardless of whether these incidents are targeted at tourists or not. Another thing to consider is the return on investment for terrorists. They only have a certain number of reliable operatives, and usually a limited supply of materials. The recruitment and procurement are among the highest-risk parts of a terrorist cells activities, thanks to informants, surveillance and paper trails of purchases. Blowing up a train station is a statement aimed at the local authorities, but an attack against an airport or aeroplane immediately rises to the level of an international attack (see point 2 below). This concept holds true in attacks against hotels, nightclubs and tourist attractions globally. International exposure:By targeting aviation, terrorists are likely to impact not only the country in which the incident occurs but also the home countries of international travellers. This ensures maximum global media coverage and provides the notoriety and exposure the terrorists seek. Maximum inconvenience:When an attack or attempted attack occurs it results in higher levels of aviation security and checks. This inconveniences many people, and creates additional media coverage and negative imagery throughout the world. 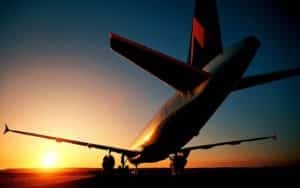 Additionally, the higher degree of security can be very disconcerting for travellers who often decide to ‘holiday at home’ rather than risk the threat of being caught up in a terrorist attack whilst on holiday. Demoralising the strength of a nation:Nations usually go to great lengths to make their aviation facilities impressive to travellers in an effort to convey their status. If powerful airports/airlines can be impacted people worry about their safety when travelling. For most people their main exposure to terrorist countermeasures is aviation and attacks sends a message that despite the high-security governments can’t protect you. Nostalgia:Terrorists have a symbolic affinity with aviation, and recent attacks have made travellers remember the dramatic 9/11 attacks, and other historic headline grabbing attacks. It serves as a psychological reminder that causes distrust in the capability to effectively to secure aviation. You may have thought that aviation attacks provide an opportunity for terrorists to easily kill large numbers of people, but that misses the point of terrorism. Killing large numbers in a way that is quickly forgotten is much less useful than killing a few or even none in a way that causes profound ripples of fear and costly overreactions on the part of the target group. Terrorists do not need to organise gun rampages against targets if the occasional low-budget aircraft attack does the trick. If you would like to learn more about aviation security and the potential impact of terrorism, please contact the Agilent team, Airport security consultants, for specialist advice.